Hinckley is at it again. 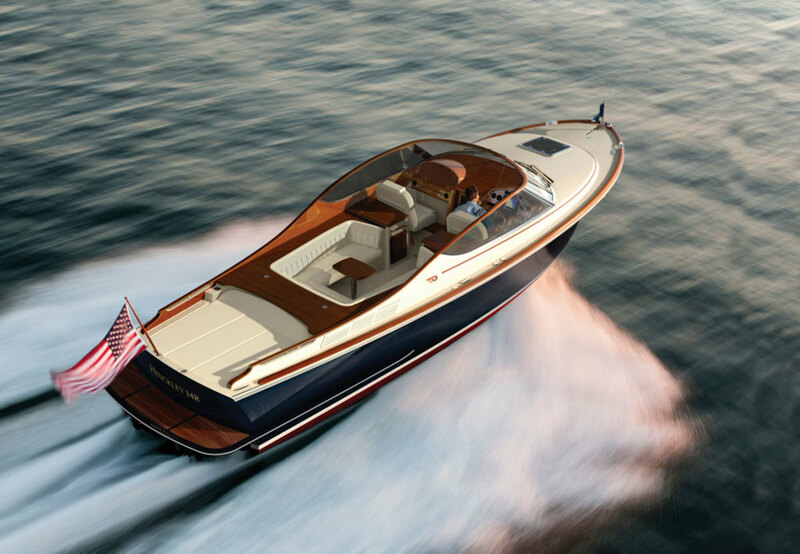 Late this spring the builder will be adding to its famed Jetboat line a 34 Runabout that should acquit herself exceptionally as a dayboat. 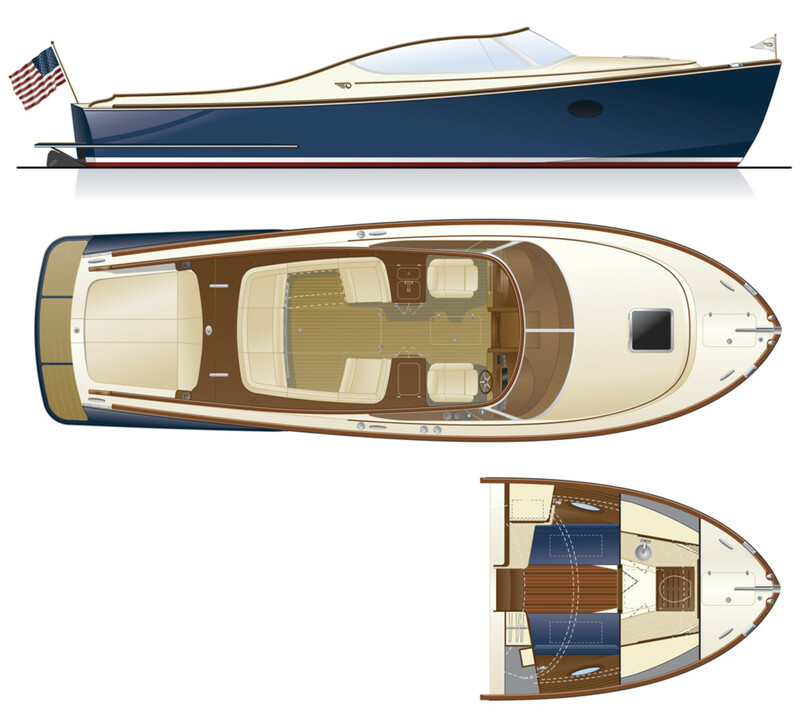 The 34R will be laid out precisely with fun in mind. 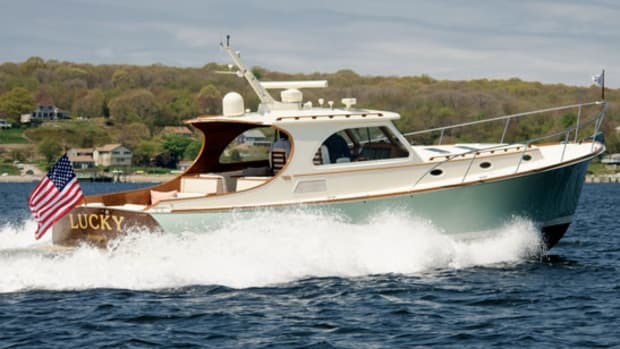 The helm will seat one and have an array of classic analog gauges, and Hinckley contends that the sightlines will be excellent. Moving aft, there is plenty of seating, including a wraparound lounge with a table at the center. It’s the ideal place to quaff something cold as the sun sets on another beautiful day. Aft of that, there’s a sunpad large enough for three, for those who know that nothing makes you look better than a good tan. 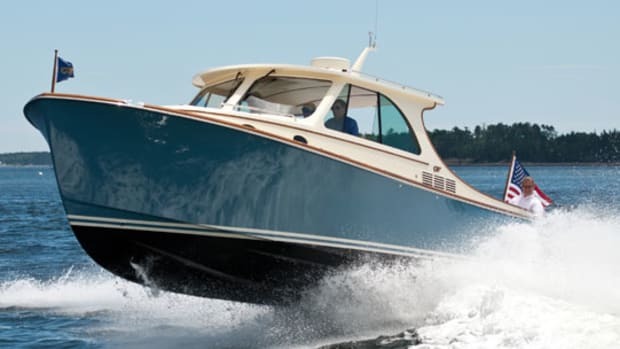 Of course, while topside amenities are always nice to have, any boat worth its salt—excuse the pun—will have it going on underneath as well. 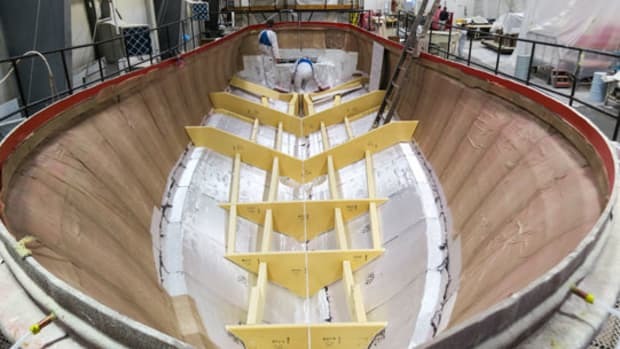 In this case the hull is designed by Michael Peters, one of the most active naval designers in the business and our very own Sightlines columnist. 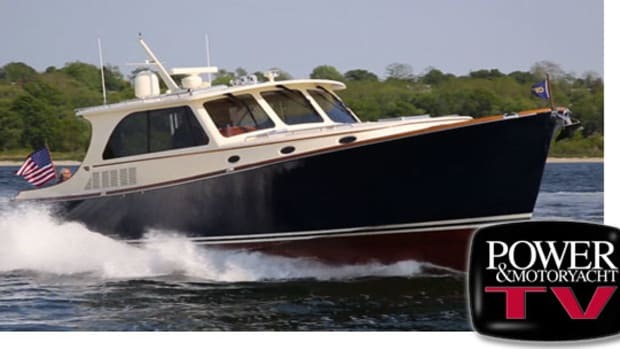 Hinckley promises that this hull will keep the boat extremely dry and also fun to drive, particularly when paired with Hinckley’s classic jet propulsion, which, by the way, will offer the happy benefit of being exceptionally quiet. 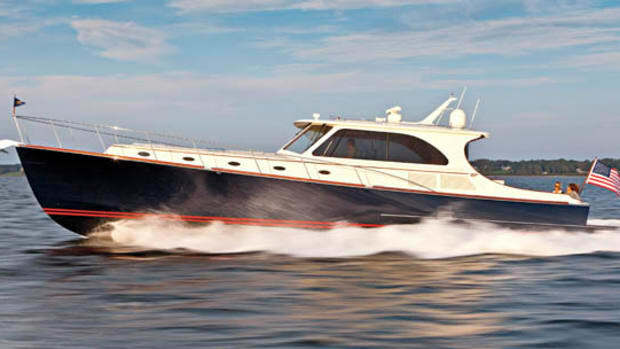 She won’t snag any lobster pots either as you zip along at projected top speeds upwards of 34 knots. 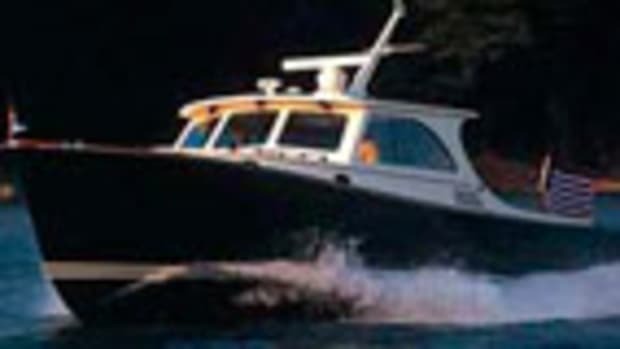 (Thanks in no small part to a propulsion package with twin 320-horsepower Yanmars.) 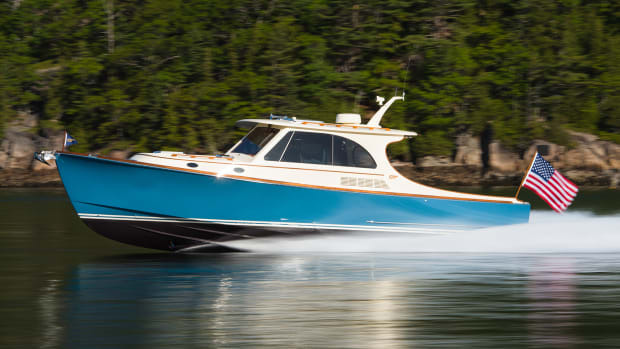 What’s more, the new 34R will have Jetstick II controls that will let any captain—from the most seasoned old salt to a nautical newcomer—handle the boat with style and grace. Another thing, by the way, that this boat has in spades. 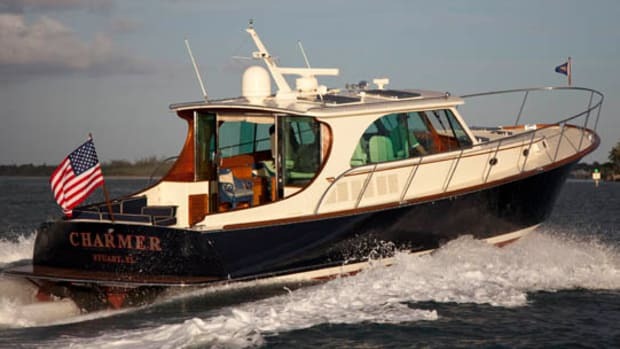 She should fit in quite nicely in Kennebunkport, Palm Beach, or wherever you may choose to roam. 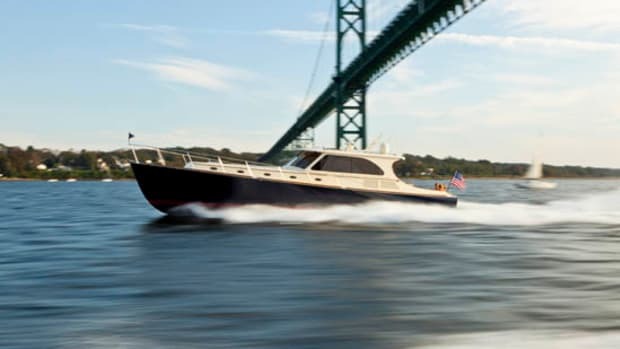 This article originally appeared in the March 2016 issue of Power & Motoryacht magazine.